Package Memberships are now available! Purchase a package membership for 2019 and your members will get membership for the remainder of 2018 completely FREE! Practices purchasing a package membership are permitted to change members in the event of a staff departure or new hire, at no additional cost. All assigned memberships must be to individuals within the practice (same Tax ID number). Packages are available in 5 member increments. 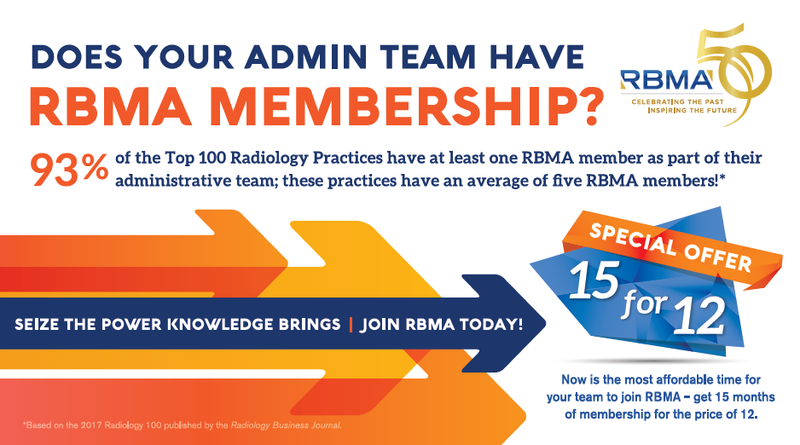 Further radiology business knowledge within your practice - get memberships for your team! Our extensive member benefits offer something for everyone. Individual memberships are available, click here for more information. 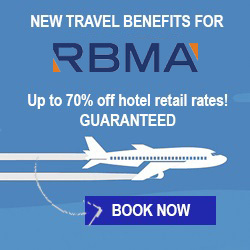 You can purchase a package online using any account. You will later have the opportunity to assign your memberships to individuals. Please add the package you want to purchase to your cart (below) and proceed to checkout. How do I assign my package memberships? Once you have purchased your package, you will receive a confirmation email that contains a link with instructions on how to assign your memberships. How do I switch a membership? 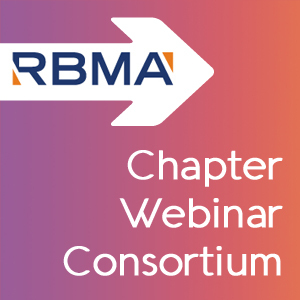 In the event of a staff departure or new hire, please contact us at membership@rbma.org and let us know of the change. Five memberships for one practice (must be under the same Tax ID number); can be transferred to others within the practice in the event of a departure or new hire. Ten memberships for one practice (must be under the same Tax ID number); can be transferred to others within the practice in the event of a departure or new hire. Fifteen memberships for one practice (must be under the same Tax ID number); can be transferred to others within the practice in the event of a departure or new hire. Twenty memberships for one practice (must be under the same Tax ID number) can be transferred to others within the practice in the event of a departure or new hire. Unlimited memberships for one practice (must be under the same Tax ID number); can be transferred to others within the practice in the event of a departure or new hire.